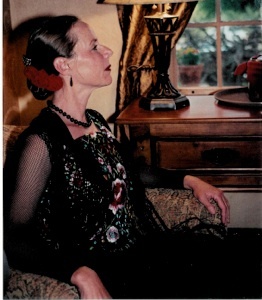 Barbara Schuessler, aka "La Flamencista", began her flamenco dance training in Tucson, Arizona with Tere Aguirre and later continued her local training and performing with Patricia Mahan and Olivia Rojo. In 1988, she traveled to Bellingham, Washington to study with Teo Morca and began a long series of training that took her to workshops and personal study throughout the United States and Spain. Most notably, the Festival Flamenco in Albuquerque, NM where she studied with numerous masters of flamenco for over 15 years. Masters such as Antonio Canales, Alejandro Granados and Yolanda Heredia, to name just a few, were major influences in her development. Her studies took her to Sevilla, Spain where her understanding of the art form truly blossomed. Her heart opened with the incredible instruction of dancers that include Maria Angeles Gabaldon and, most importantly, Georgia “La Candela”. These are but a few of the people that she has received instruction from and feels fortunate to have been exposed to such artistic masters. Her love of dance and movement started as a young child and has carried her through many forms of disciplines. Her training includes specialized studies in various movement and stretching techniques and all forms of dance. She has studied yoga for over 25 years and brings that knowledge to her dance training. Calling Tucson, Arizona her home, she has performed locally with Aires Flamenco, Flamenco Y Mas and her own troupes. She continues to perform at festivals and private functions with "Las Flamencistas" and as a solo artist. Barbara’s passion is teaching and sharing the art form. She has been teaching flamenco dance since 1995 and teaches out of local studios and her home studio.